Our draft master plan consultation has now closed. Thank you if you gave your feedback. We will be publishing a consultation summary report and our final master plan later this year. 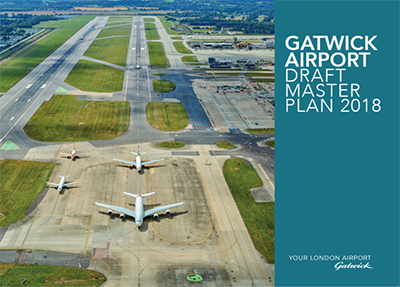 You can still read our draft master plan and find out about our growth plans for Gatwick on this page. 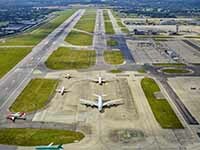 As part of the airport planning process - and reflecting industry best practice - Gatwick creates and regularly publishes a ‘master plan’ to show how the airport intends to develop and grow in the longer term. The master plan also helps to inform the wider regional and local planning process. Our 2018 draft master plan sets out proposals for the airport’s ongoing development and sustainable growth. In it we explain our latest thinking on how the airport can meet the increasing demand for air travel and provide Britain with enhanced global connectivity. We also demonstrate how we can create new opportunities for the region and continue to bolster the local economy for future generations, while doing everything possible to develop and grow in a sustainable way - striking the right balance between economic growth and environmental impact. In the near term, the airport has explored how deploying new technology could increase the capacity of the main runway, offering incremental growth through more efficient operations. Under its current planning agreement, Gatwick’s existing standby runway is only used when the main runway is closed for maintenance or emergencies. However, the 40-year planning agreement will come to an end in 2019. The draft master plan sets out for the first time how we could potentially bring our existing standby runway into routine use for departing flights, alongside the main runway, by the mid-2020s. This innovative development, which would meet all international safety requirements, would be delivered without increasing the airport’s noise footprint and provide greater operational resilience. While we are not actively pursuing the option of a building a brand new runway to the south of the airport - as we did through the Airports Commission process - we believe it is in the national interest to continue to safeguard this land for the future as part of our master plan. You can view the full draft master plan and an aerial film highlighting the location of the three scenarios outlined in the draft master plan. We have also created high resolution versions of some of the maps included in our draft master plan at the bottom of this page. .
Our draft master plan consultation document explains the consultation in more detail. Our public consultation has now closed. The views of our local communities, partners and stakeholders are important to us. When we published our draft master plan in October 2018, we held a public consultation which ran for 12 weeks up to 10 January 2019. During this period, we held seven public exhibitions on our plans for growth where members of the public had the opportunity to come along, speak to the Gatwick team and find out more about our plans for growing Gatwick. We also displayed our exhibition materials at two events at Gatwick. Public exhibitions were held in Brighton, Crawley, Croydon, Gatwick Airport, Horley, Horsham and Tunbridge Wells. The venues were selected across the Gatwick region to ensure a reasonable travelling time, both by car and public transport. There are copies of the full draft master plan document are still available at several public libraries, also listed below. We’d like to thank everyone who took the time to come along to one of our exhibitions and give their views through our consultation. Later this year, we will be publishing a consultation response summary and our final master plan.